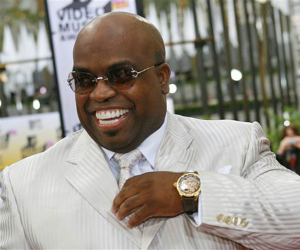 Is Cee Lo Green Negotiating a Return to 'The Voice'? Is Cee Lo Green Negotiating a Return to ‘The Voice’? According to The Wrap, the ‘Forget You’ singer is currently in negotiations to make a return to the show after not being involved this past season. His former, and if rumors are true, future co-coach, Christina Aguilera, has already signed on the dotted line to be back this upcoming season as well. As neither singer appeared on the past season, they were replaced by Usher and Shakira. Executive producer Mark Burnett had stated previously that artists would rotate in and out, as they are working artists. It’s being reported that Aguilera will be paid $12.5 million for Season 5 but Green wouldn’t be expected to make that amount. Negotiations are ongoing for coaches Adam Levine and Blake Shelton, who are also expected to return as well.